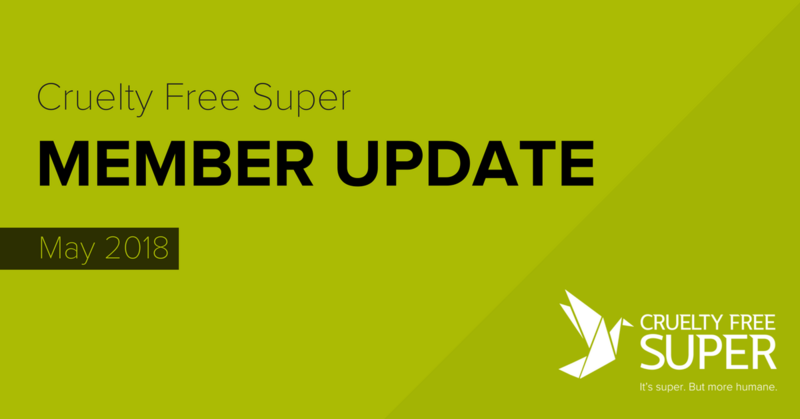 There’s been a lot happening at Cruelty Free Super these last few months and I thought it was time for an update. You might have noticed our refreshed brand and new website. We launched this new branding on late last month at two vegan festivals across the country - one in Noosa and one in Canberra. We met, talked to, and even signed up, a whole heap of very passionate values-aligned people who we are happy to welcome to the fund. For you, our fantastic community of existing members, you can be excited that the word is getting out and you’re being joined by more awesome individuals who share your desire for a kinder world. I’m sure your across the exposé that aired on 60 Minutes a couple of weeks ago around the live animal exports industry and the footage that was taken by a whilsteblower on five voyages and given to our friends at Animals Australia. We were of course very moved by the footage as soon as we saw it and knew that the vast majority of Australians would be horrified to know that their own retirement savings were being used to fund this cruel and barbaric practice. We wrote an in-depth article about how we can grow the movement to remove the social license of this industry by hitting them where it hurts: in the back pocket. 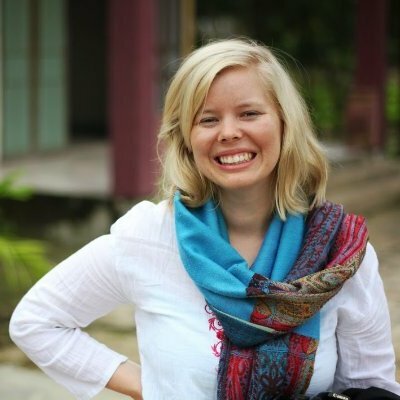 This article has gained a lot of traction on social media and we’re excited that the word is spreading - we’ve had a number of people join the fund and shift their super, triggered by this awful revelation of what goes on inside those ships. For a while we've been telling members that as we grow, we’ll be able to steadily reduce our fees. Well I’m very excited that the first fee reduction has now taken effect. 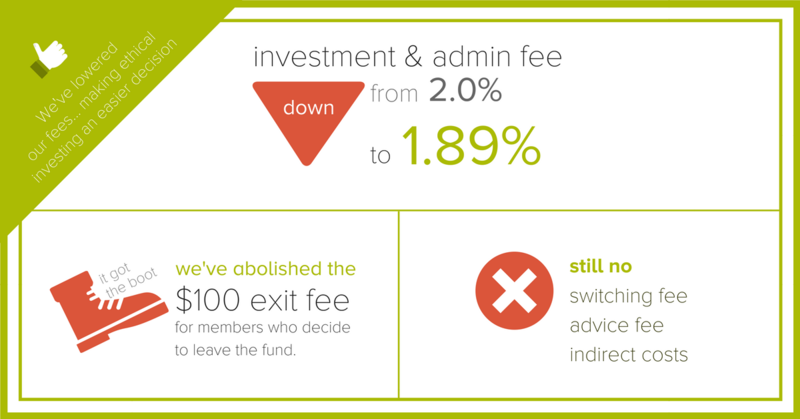 Our investment and administration fee has been reduced from 2% to 1.89%. This doesn’t sound like much in percentage points, but for someone with a $50,000 balance, that’s a saving of $55 every year. We’ve also eliminated our exit fees. The structure of our fees has changed somewhat and you can see a full breakdown of these changes here. And we intend to keep this trend up. As we grow, we can unlock further fee savings for our members, so we hope you’ll help us achieve this. This is a people powered movement. We can only get big corporations an industry to listen when our voices raise to a roar. So we need your help. Join our members only Facebook Group. Read our articles and share them. In short… be your own kind of super hero.